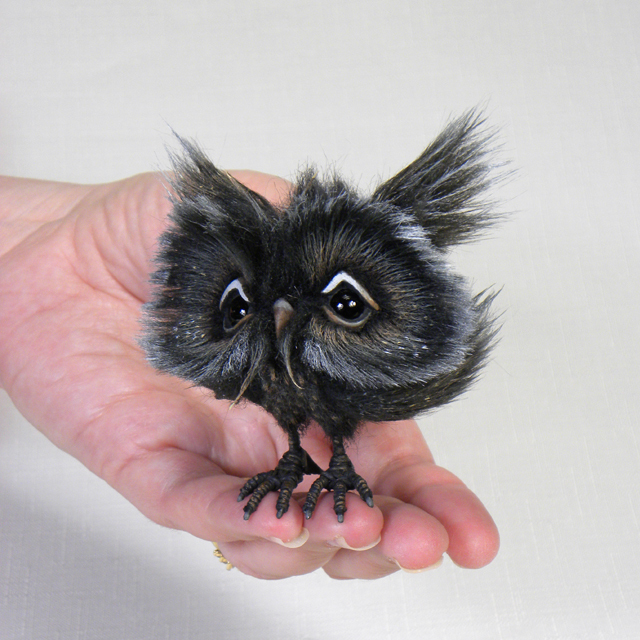 Introducing Shadow, an adorable tiny mini owl! Shadow stands just 3” tall and has tons of tiny details. He is made from wonderfully thick and soft faux fur, and he has black glass eyes. Shadow is completely hand shaded and painted for a unique one-of-a-kind look.